Where to stay in Davos? Davos offers a large variety of hotels, holiday flats and hostels for every budget and every taste. The use of public transport, as well as the mountain cable cars are included in the price of accommodation. Coming to a small town in the mountains has the big advantage that everything is close by - no need to consider long trips to the congress centre - just a short walk and you are there. And if you don't want to walk, there are busses every few minutes, connecting all parts of Davos. When you register, you can book your accommodation in the same system, a complete list of hotels, hostels and holiday appartements is available. All hotels in Davos now offer their rooms at competitive prices depending on demand, thus functioning like most standard booking platforms. With this flexibility, it's easiest and cheapest to book directly during the registration process. If you have already registered and not yet booked a place to stay, you can use the button below, to find a room. You can also just scroll through the list, filter for the cheapest option or find out how close your hotel is to the conference center with the map below. Looking for a room-mate or somebody to travel with? 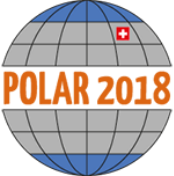 Please go to the facebook POLAR2018 travel group. If you are wondering about travel support, please read through the information given by SCAR and IASC regarding travel support.